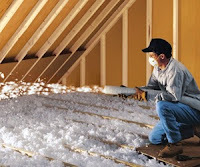 Adding attic insulation is an excellent way to improve the energy efficiency of your home and reduce your energy bills. With over 70% of the energy loss in homes coming from upward airflow, attic insulation can help keep climate controlled air where it needs to be and reduce your home energy bills by as much as 20%. Here at DeVere Insulation Home Performance, our trusted attic insulation experts perform high quality insulation work for homes across Baltimore, MD and the surrounding area. We handle every step of the attic insulation process, from air sealing to insulating. Read on to learn more about the benefits of attic insulation and contact our team at (443) 770-1111‬ today! Whether you are considering adding a new layer of blown-in insulation or revamping your attic’s insulation altogether, adding attic insulation to your home has several benefits. First, attic insulation can help improve climate control within your home. Insulation helps keep climate controlled air in your home, optimizing comfort for everyone under your roof. This means your home doesn’t have to work as hard to stay heated or cooled, making your home more energy efficient and helping reduce energy bills. Adding attic insulation to your home can be a messy and time consuming process if attempted without the help of a professional. Hiring an attic insulation contractor can help you save money by advising on available rebates and saving time through efficient and precise insulation work. A professional attic insulation company also has the experience you can count on to get the job done safely and correctly, maximizing energy efficiency. We are fully licensed and insured, and have extensive experience adding attic insulation to homes of all kinds across the greater Baltimore, MD area. When you work with our team, we’ll handle every step of the attic insulation process, from the initial inspection to complete installation. By the time we’re finished, you’ll have a fully insulated attic and benefit from reduced energy bills. To learn more about our how our attic insulation services can benefit your property, contact our Baltimore, MD team at (443) 770-1111‬ today!